Coming right up! 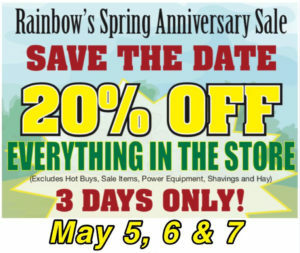 It’s Rainbow’s Spring Sale, May 5, 6, & 7! Save 20% on anything* in the store, during our biggest sale of the year! 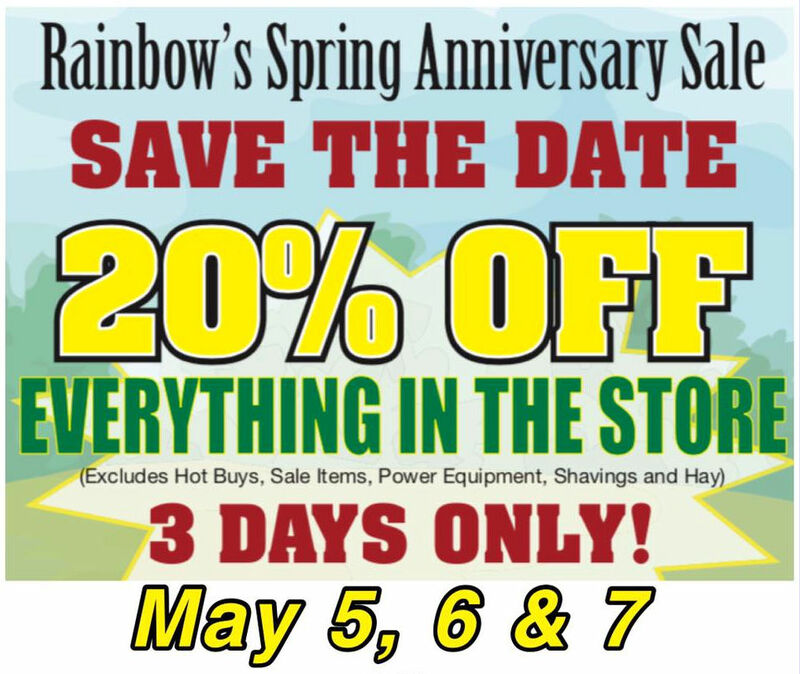 The Spring Sale celebrates Rainbow’s Anniversary and we’re doing it right, by giving our fabulous customers big savings all weekend long! Check out the Hot Buys! How about 25# Nutro Max Chicken Dog Food, or 16# Nutro Max Chicken Cat Food, for only $17.99? Phoenix Wild Bird Seed – 20# for $5.99, or Scratch Grains for $8.99. Wrangler 13mwz or 936den shrink-to-fit Cowboy Cut Jeans only $17.99! and get your irrigation system tuned up with 100’ rolls of ½ inch drip tube for only $5.99. There’s also some special events going on during the sale. Learn about Bee Keeping during a Sunday May 7 seminar at the Lakeport store. Local honey producers Meadowmont Farms will be on hand to answer all your buzzing questions! In Ukiah, there will be a bake sale to raise money for cancer research, both Friday and Saturday from 10 AM to 3 PM. All proceeds donated to St. Baldrick’s Foundation to conquer children’s cancer. 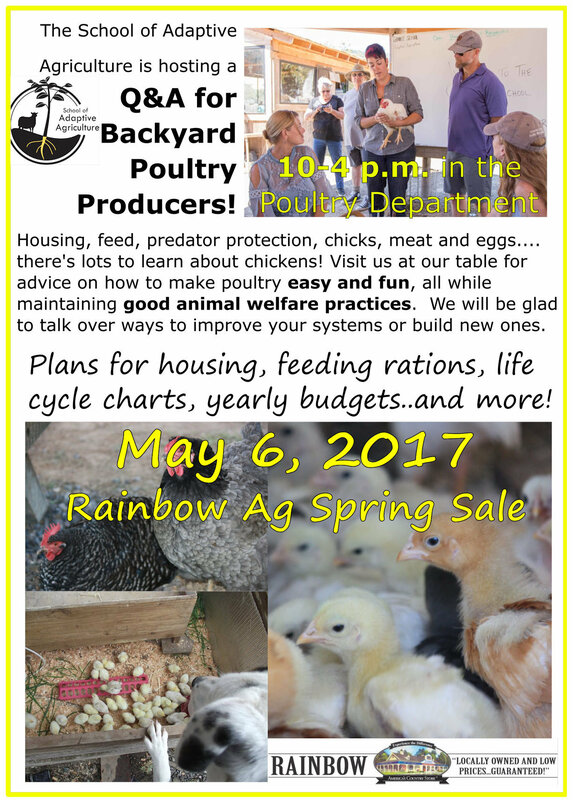 Also in Ukiah on Saturday, the School of Adaptive Agriculture will be hosting a Q&A for Backyard Poultry Producers! Learn about housing, feed, predator protection, chicks, meat and eggs … there’s lots to learn and the experts will be there to answer your questions. Check out their flier here. Oh, the weather is finally sunny and the horse events are tempting. 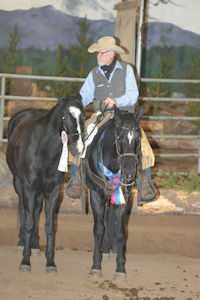 Flying T Equine with John Tilley will be holding two Trail Obstacle Training clinics in May – on Saturday May 6 from 1 PM to 4 PM, and on Saturday May 20th from 9 AM to Noon, in Redwood Valley. Check out the info here. These popular clinics fill up fast, and are a whole lot of fun, so make your reservations today! Please Note: The Redwood Riders event posted previously was incorrect. Please check with the clubs for new information. 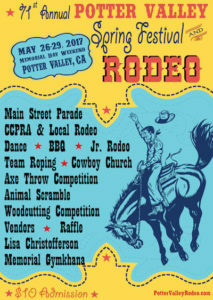 Don’t forget the Potter Valley Spring Festival and Rodeo coming up on Memorial Day Weekend, May 26, 27 & 28. Kick it off with the Main Street Parade, CCPRA and local Rodeo, Dance, Barbeque, Roping, Woodcutting Competition … and lots more! A whole weekend of fun, the 71st annual celebration! Thanks to research, we now have better information on the best way to feed our horses. While for a long time, protein was the “magic ingredient” to look for in horse feed, now we know that it is just one small part of a complete diet. Watch Purina research veterinarian Dr Karen Davison explain just what to look for in a horse feed, in this month’s Purina Spotlight. Get ahead of the flies this wet spring with this month’s subscriber coupon – Buy One Get One Free Rescue Fly Traps! Just print out the coupon to get your free bag! 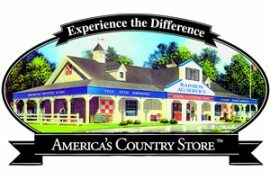 Trivia Contest – Last month’s question was, What would you learn from Meadowmont Farms on May 7? The answer is, How to keep BEES! The winner is Kristina Tenerowicz. 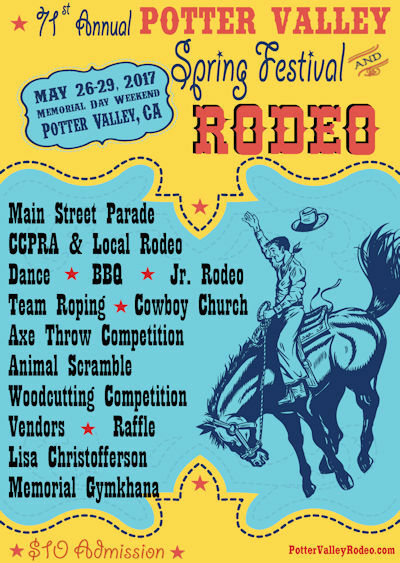 This month’s question – This year’s Potter Valley Spring Festival and Rodeo is the ___________ annual event. Enter Here to be eligible to win a $15.00 Rainbow Gift Card! This entry was posted on Sunday, April 30th, 2017 at 3:09 pm	and is filed under News, On The Right Lead Newsletter. You can follow any responses to this entry through the RSS 2.0 feed. Both comments and pings are currently closed.